Marigolds has six rich, highly detailed blossoms that you will love! Click image to enlarge. Click Buy It Now Button below image to purchase at my PayPal Store for $1.99. Today I'm giving you a beautiful paper made for this kit to sample - enjoy! 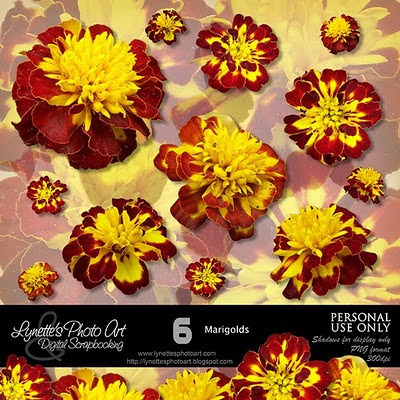 I love marigolds, thank you! Thank you so much for your freebie !